Deck construction, when performed properly can result in a structure that lets you and your family better enjoy the outdoors at your Waterloo, Illinois, home for decades. That’s why, if you’ve chosen to make this investment in your home, it’s best to find a deck builder with a reputation for providing premium products and outstanding installation services. At Chesley Fence & Deck, that’s exactly what we provide. 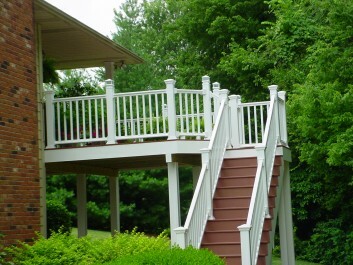 Chesley Fence & Deck is an experienced deck construction company that offers a variety of top quality decking, which allows our customers in Waterloo, IL, to choose the option that is best suited to their needs and budget. If, for example, you’d like a highly cost effective option, we offer durable treated lumber decking that can be painted or stained as you like. We also offer premium cedar options with an enhanced resistance to warping and cracking over time. Or, if you’d like a premium option, we offer several types of composite decking. Typically, we recommend our Tamko EverGrain® Envision® PVC coated composite, which is extraordinarily durable and easy to maintain. This product is even backed by a 20-year warranty that covers stain-resistance, deterioration, and fading. 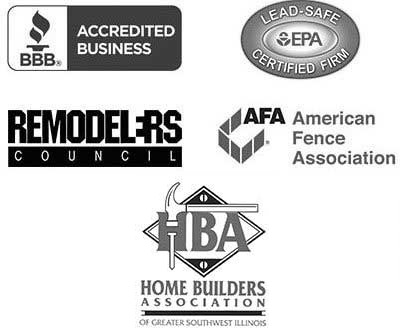 To learn more about the deck construction services we provide in Waterloo, IL, contact Chesley Fence & Deck today.